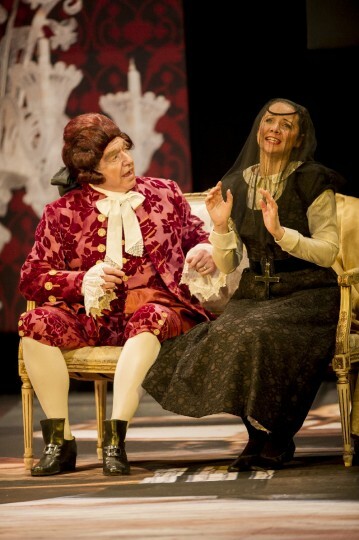 With elegant 1940s costumes our beautiful production of Don Pasquale toured to 20 venues across the UK. 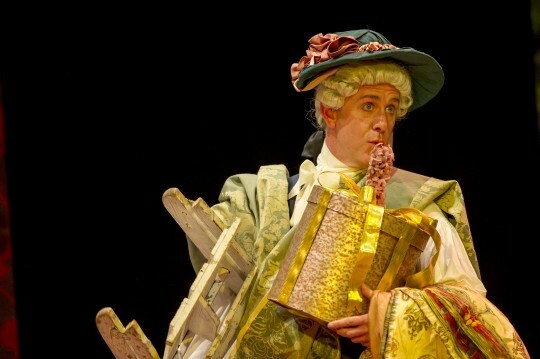 Don Pasquale was conducted by Fraser Goulding and designed by Gabriella Ingram. 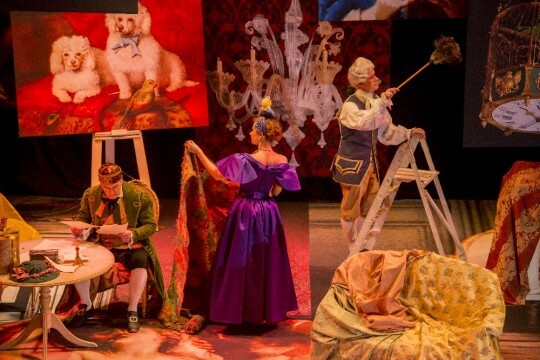 And for those who braved the snow, it was an evening of excellent entertainment in the best “bel canto” tradition from a quality quartet that delivered on every note in this beautifully staged production in 1840s costumes. What a superb evening of opera! 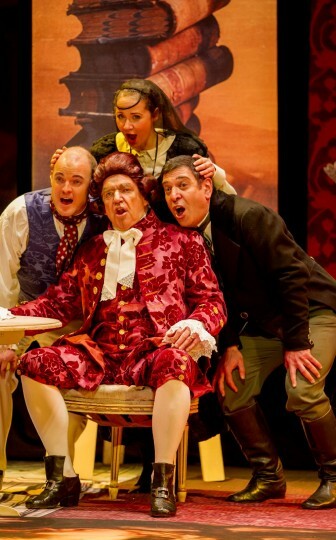 We had seen Opera North’s Otello at Nottingham’s Theatre Royal the previous evening which was excellent and Don Pasquale was every bit as good if not better. The set and costumes were colourful, creative and eye catching, the music faultless and the singing superb. Helen Massey was sublime, Paul Hudson excellent and the rest of the cast almost as good. The singing, acting, movement and communication with the audience were all of the highest order – one of the best productions we have ever seen. 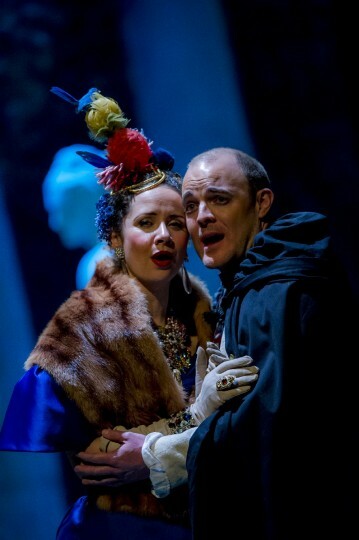 We will certainly be back to see the next Swansea City Opera production. I took several piano pupils (and their friends & families). The venue is not daunting and there is a real sense of us all being involved, part of the performance & contributing to it. Doing opera on this chamber scale is brilliant, there’s nothing intimidating. The whole production was superb, sets, production, brilliantly reduced orchestration & superb singing. 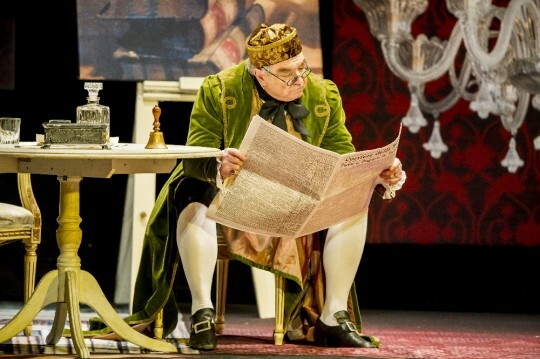 I thought Don Pasquale was a wonderful performance & very colourful & well lit, in our small gem of a theatre which has recently been restored. 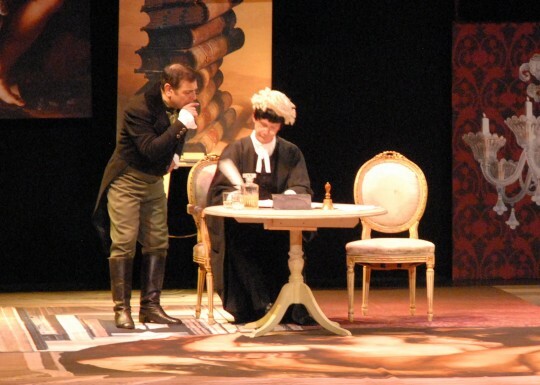 I do hope you will return to grace our stage again some time with another great performance. I don’t remember opera coming to Ayr since my return from London 22 years ago. The talk was very informative, setting the opera in context and style. The singing and characterisations were spot on throughout. Comedy was to the forefront and well delivered. PERFECT NIGHT OUT! 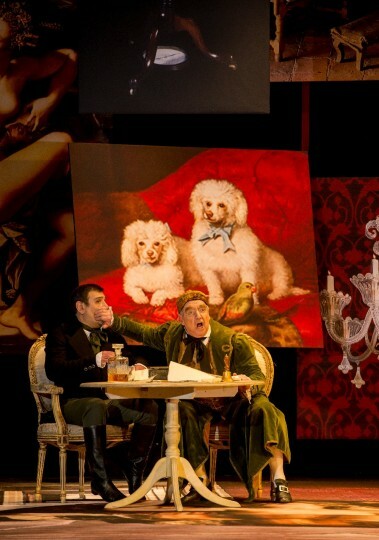 Don Pasquale???? thought we were going to see Joe Pasquale!!! Lol - only kidding... I am (well was) an 'opera virgin' with no interest but thought we'd give this a go and oh boy are we glad we did. Amazing. Funny, beautiful singing, costumes and faultless. Sat in awe at times, especially during the 2nd half when Don P & the doctor performed a piece that was soooooo fast it made my head spin. Well done and Bravo! !